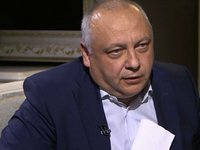 The bill on special confiscation concerns exclusively the money of Yanukovych, the head of the Bloc of Petro Poroshenko faction in the Verkhovna Rada of Ukraine, Ihor Hryniv, has said on the air of 112 Ukraine TV Channel. "The only assets the law concerns are the monetary assets on the accounts of Yanukovych and his team. Secondly, these are government domestic loan bonds they bought because they realized they'll always return them and earned a lot of money on this. The document does not apply to other assets," he said. He noted this is the third bill filed to the Verkhovna Rada for consideration, which takes into account all the concerns the deputies had about the issue.